Today we’d like to introduce you to Lowell and Anne Jooste. Thanks for sharing your story with us Lowell and Anne. So, let’s start at the beginning and we can move on from there. Anne and I, Lowell, along with our 4 children relocated to La Jolla from Cape Town six years ago. I was 4th generation in the South African wine industry. In the late 1980’s I spent a year as a visiting student at UC Davis and then worked a harvest at Robert Mondavi Winery in Napa Valley. I returned to South Africa and ran my family’s vineyard, Klein Constantia in Cape Town for 20 plus years. I also started another vineyard with two leading winemakers from Bordeaux. With the sale of both these vineyards in 2011, we embarked on a new chapter in our wine story in the USA. The wine world was in the blood and on direction from friends and colleagues, we began buying grapes from Napa and Sonoma and vinifying at a shared winery facility in Napa under the dedicated attention and skill of winemaker, Alison Doran. With over 40 vintages to her name, Alison exercises and maintains the highest quality standards in her winemaking. With wine production underway, I couldn’t help noticing the booming craft beer industry in San Diego and their use of reusable bottles (growlers). I was intrigued and inspired to try to develop a similar concept for wine. I had the time on my hands to tinker around while the first vintage was maturing. I experimented in my backyard using water in an old barrel to find a way of serving barrel-direct. Eventually, it worked. We submitted our equipment for a US patent that’s now issued. The goal then became set – run a successful wine business with all bottling done into eco-friendly re-usable bottles (growlers). We rented a small retail space near our home and using this now recently patented technology began serving top-end wines directly from the barrel into growlers to our neighborhood. The Napa earthquake of August 2014 was a huge setback. We lost half of our first wine production stacked 6 barrels high in storage! Build-out of our small space (1600sq.ft.) was an endless struggle from start to finish. The estimated 3-month contract took 9 months to complete and was way over budget. Unfortunately, it also disrupted neighboring businesses. We specialize in buying grapes from locations in Napa & Sonoma where each variety has excelled. The customer currently has a choice from a selection of 14 wines. Barrels are shipped on demand from Napa to our small winery in Bird Rock, La Jolla. 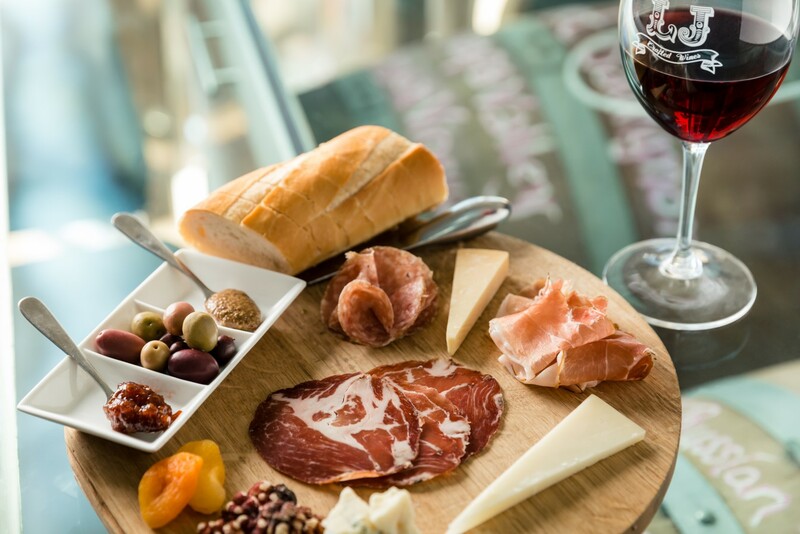 What sets us apart is our focus – serving wines directly from the barrel using our patented technology into refillable bottles (growlers) thus avoiding the single-use wine packaging on which our industry relies. Having sold 120 barrels of wine since opening in February 2016, we have avoided the production and disposal of 36,000 single-use bottles. As a visual – a line of these upright bottles would extend 1.8 miles. Just imagine the environmental impact if more wine were to be served in this fashion! We are about promoting and supporting a zero-waste lifestyle while one enjoys the nectar of the vine. Our business slogan – Rethink, Reduce, Refill – sums up our business and is a call to wine consumers to reconsider how they procure and imbibe wine. What’s also important to note is that the integrity of the wine is the same from the first glass to the last glass served from the barrels. We have also been successful in winning Gold awards in several wine competitions with our wines presented in growlers (probably another first!) and judged among cork-sealed bottled wines. We are extremely proud of the quality of our wines. Our ground-breaking technology which perfectly pairs with an environmentally-friendly bottling option has allowed us to adopt the customary role of a milkman doing his rounds in the neighborhood. A modified electric golf cart called “The Growler Express” doing its rounds can deliver your wine order in growlers and collect your empties. This must be a first and one-of-a-kind service in the wine industry? We can also supply wine to functions in our re-usable packaging. The zero waste movement is growing; the point of zero waste is to reuse, reuse, reuse. A prototype of our patent is currently being produced in Asia. The plan is to distribute it to wineries in the US and in the EU. 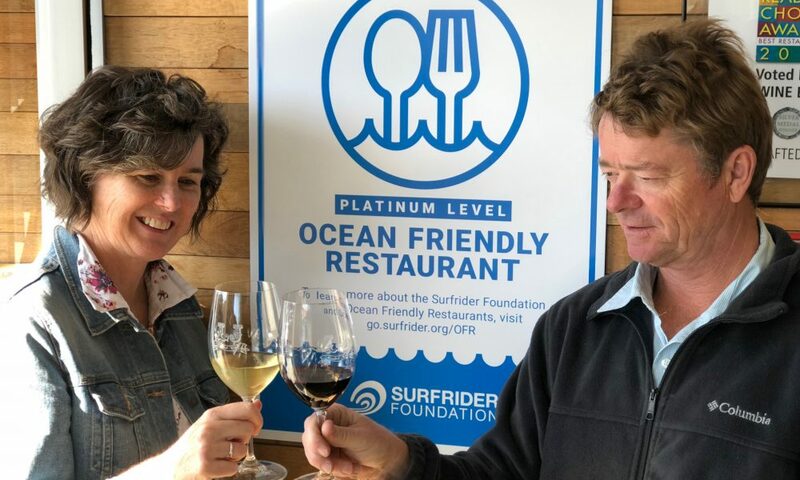 Earlier this year the San Diego Chapter of Surfrider Foundation welcomed us as their first fully registered Platinum Level Ocean Friendly restaurant having met all 10 program criteria. We are committed to environmentally friendly practices in both food and wine industry. We see ourselves as sustainable, efficient and innovative wine purveyors. We feel we have achieved our initial goal! We dream to see a re-usable wine packaging trend replace many conventional single-use bottles…. globally! We have lived in the USA for six years so it’s difficult to compare San Diego to another city. We were required to obtain expensive permits and licenses as well as adhere to codes, some of which were irrelevant to our operation. One couldn’t help feeling that existing businesses are protected from competition because “the barriers to entry” are excessive. In addition, new regulations keep popping up. We have however experienced a wonderful embrace of our customers who appreciate a spirit of entrepreneurship. They have not complained about being our guinea pigs in our mission to set new trends in wine! It’s the perfect first location in many senses.